The St Nicholas' Home was opened in 1929 by the Waifs and Strays Society at St Margaret's Road, Lowestoft. It was the successor to the Society's Church House home which had been forced to close in 1915. After its closure, the home's Honorary Secretary had purchased the new site and given the society its free use. However, progress was slow and it was only fourteen years later that the new home, to be known as St Nicholas', was ready. The Bishop of Norwich laid a memorial stone at the home on July 6th, 1929. Initially the home accommodated 40 boys aged from 4 to 10 years of age. However, in 1931, it was decided that it should instead become a girls' home. In 1940, following the onset of the Second World War, the residents were evacuated to the St Nicholas' home in Torquay. 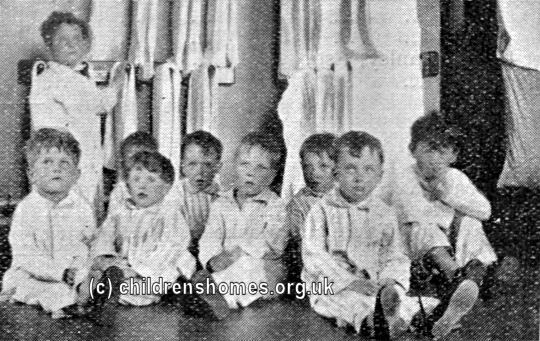 The girls never returned to Lowestoft and after the war, the home was re-opened as a residential nursery. In1970, a day nursery was also opened at the site which later became the Lowestoft Children's and Families' Centre. In 1973, when the Society's St Mary's nursery at Felixstowe closed, its residents were transferred to the St Nicholas' home. St Nicholas' closed in around 1979. The property has now been converted to residential use.